With their shimmering steel, sleek, short coat and amber or blue eyes, Weimaraners are one of the most outstanding breeds. 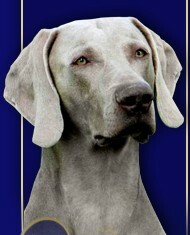 Weimaraners are the tallest of the gundog group. They are graceful with speed, stamina and endurance giving them 'star quality' and a tremendous presence, emulating the thoroughbred stayer in the horse world. There are two different varieties, the short-haired weimaraner and the long-haired weimaraner, the latter being less common. 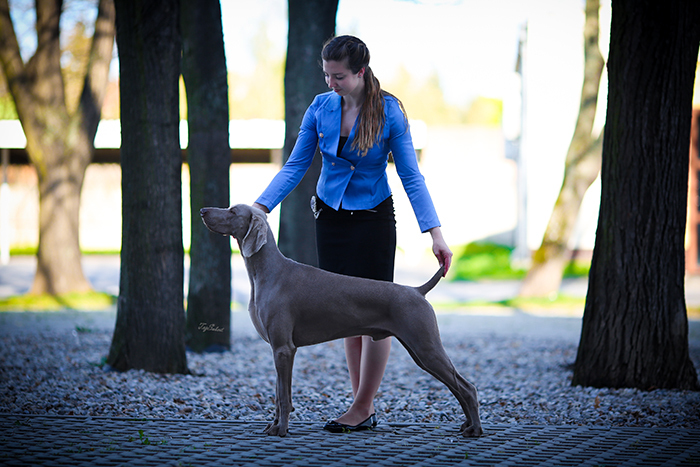 Weimaraners belong to the Gundog group and whilst still popular as a working dog, their unique appearance is now making them more appealing as companion dogs. Because of his learning ability they are also used in obedience and field trials. Weims are also seen in growing numbers in the show ring. Weimaraners are truly versatitel dog. Winning dog shows, obedience, field trials, agility but mainly there are winners of our hearts.